“Nature” is far from natural; two recent books explore the development of romantic ideas about nature, and the consequences of policies based on these ideas. The Invention of Nature is a biography by Andrea Wulf that traces the career of Alexander von Humboldt, the German scholar who shaped ideas about nature, and influenced the people who created conservation policies. Crimes against Nature, by Karl Jacoby is a social history that explores the consequences of romantic ideas of nature, as they were implemented in the conservation policies of state and national parks. Humboldt had been nearly forgotten in the English speaking world, but has been the world’s premier celebrity scientist in his day. Humboldt was close friends with Goethe, and the ideas of German romanticism infused his work. As a romantic who saw feeling as a primary means of understanding, Humboldt didn’t see science as an intellectual activity separate from emotion. ‘Nature must be experienced through feeling,’ Humboldt wrote to Goethe, insisting that those who wanted to describe the world by simply classifying plants, animals and rocks ‘will never get close to it’. His writing for scientific and popular audiences was full of lyrical and ecstatic passages inspired by natural beauty. 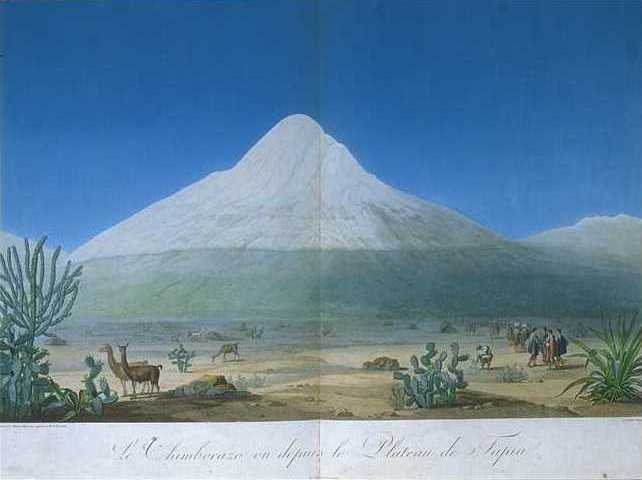 In Views of Nature, for example, Humboldt invited the reader to “follow me gladly into the thickets of the forest, into the immeasurable steppes, and out upon the spine of the Andes range … In the mountains is freedom!” Humboldt’s romantic portrayals of nature also included visuals in the tradition of romantic landscapes, intended to convey the feelings of awe and wonder. Alexander von Humboldt and Aime Bonpland. Vues des Cordillieres et Monumens des Peuples Indigenes de L’Amerique. Paris, 1810. Wulf’s biography traces how Humboldt’s poetic style of communication about nature influenced writers including Wordsworth, Coleridge, Thoreau and many other writers whose enchanted descriptions fill the Nature writing sections of bookstores and Amazon. 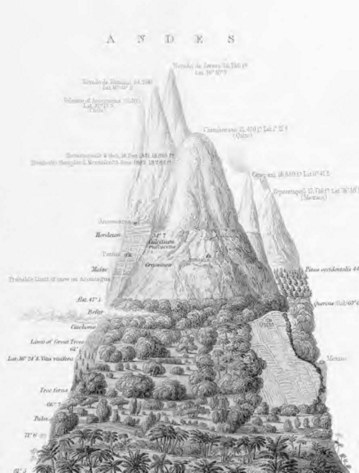 Humboldt’s verbal and visual images of nature were shaped by the Romantic ideas that the natural world conveyed spiritual experiences in characteristic places, following the philosophical and esthetic concept of “the sublime.” In the essay, the Trouble with Wilderness, William Cronon writes that, Although God might, of course, choose to show Himself anywhere, He would most often be found in those vast, powerful landscapes where one could not help feeling insignificant and being reminded of one’s own mortality. Where were these sublime places? The eighteenth century catalog of their locations feels very familiar, for we still see and value landscapes as it taught us to do. God was on the mountaintop, in the chasm, in the waterfall, in the thundercloud, in the rainbow, in the sunset…. Humboldt’s ground-breaking scientific work was based on detailed measurements taken while travelling the world. His innovations and discoveries included the the idea of isothermal zones of vegetation and climate zones that span the globe at similar latitudes, and observation of connections between similar species on continents that were separated by (what was later shown to be) plate tectonics. His measurements and analysis also demonstrated the decrease in intensity of Earth’s magnetic field from the poles to the equator. Humboldt’s work pioneered key concepts of environmental science. After he saw the devastating environmental effects of colonial plantations at Lake Valencia in Venezuela in 1800, Humboldt became the first scientist to talk about the environmental harm wreaked by plantation monoculture and deforestation, which washed away soil and left the land barren. “Humboldt was the first to explain the forest’s ability to enrich the atmosphere with moisture and its cooling effect, as well as its importance for water retention and protection against soil erosion. Perhaps the most powerful aspect of Humboldt’s environmental science was the concept that things in nature – plants and animals, atmosphere and oceans – are all connected – and methodical measurement and analysis can reveal these connections. Wulf traces the influence of Humboldt’s environmental ideas on George Perkins Marsh, an American diplomat who traveled through Middle East while serving as ambassador to Turkey in the 1850s. Marsh and observed barren conditions in places that had formerly been the breadbasket of civilization, and ascribed the desert conditions to deforestation, which had led to erosion and the collapse of agriculture. When he returned to the states, Marsh wrote Man and Nature, an early work of ecology that talked about how manufacturing and industrial agriculture were ruining the environment, with barren soil and torrential floods caused by deforestation and monoculture, and lifeless lakes and rivers polluted by industrial waste. Marsh viewed the role of humans as uniformly negative. “Man is everywhere a disturbing agent,” declared Marsh. “Wherever he plants his foot, the harmonies of nature are turned to discords. Man and Nature discussed the damage being caused in the present day by deforestation in the Adirondacks, and the work was influential in the creation of a New York State forest preserve in the 1880s and 90s. Man and Nature also influenced people including John Muir and Gifford Pinchot, who played crucial roles in creating the United States’ National Park system and other policies to protect America’s forests. The pristine wilderness that Muir admired had long been inhabited by people; it eventually took the introduction of the US army, with enthusiastic support from Muir to expel the people. Crimes against Nature: Squatters, Poachers, Thieves, and the Hidden History of American Conservation , by Karl Jacoby, covers the impact on local residents, Native and European-American, when national parks were established. Before the Grand Canyon National Park was established, Havasupai Native Americans grew crops in a nearby canyon during the summer, and hunted on the ledge in the winter. The book describes with how the Havasupai became impoverished by forced exile from their hunting area when the laws of the National Park banned hunting; the traditional subsistence hunting was recast as poaching. As the people suffered from hunger, Havasupai men resorted to manual labor in the park to make a living. Far from being a “trackless wilderness”, the lands in the National Parks were criss-crossed with trails created by Native Americans for hunting and seasonal migrations. Jacoby reports how, as day laborers, Havasupai men earned cash by paving the trails for tourists. The chapter in “Crimes against Nature” focusing on the state park in the Adirondacks describes the impact of the park’s regulations on a small population of about 16,000 European Americans who engaged in subsistence hunting, fishing, and cut small amounts of timber for fuel and small buildings. First. As a region containing some of the chief natural wonders of the world. Second. As the largest of the forest reserves. Third. As the greatest existing game preserve. The hunters for whom the “game” was being protected were upper class men who hunted for recreation. Hunting was prohibited within the boundaries of Yellowstone and Yosemite, permitted in game season in the Adirondack state park, and the local subsistence hunters who could not feed their families on the allowance and seasons permitted by the rules became guides for upper-class recreational hunting and fishing. People who hunted for subsistence when they needed food- native or european – were considered poachers. And the views of the great wonders of the world were being protected for tourists who could afford taking vacations to appreciate the sublime beauty of nature, as understood through the Romantic esthetic. In The Trouble with Wilderness, William Cronon explains that One has only to think of the sites that Americans chose for their first national parks—Yellowstone, Yosemite, Grand Canyon, Rainier, Zion—to realize that virtually all of them fit one or more of these categories. Cronon continues… “Less sublime landscapes simply did not appear worthy of such protection; not until the 1940s, for instance, would the first swamp be honored, in Everglades National Park, and to this day there is no national park in the grasslands.” Natural parks were not primarily created to protect biodiversity (or estuaries would have been early parks), nor was they created to protect distinctive ecosystems (or grasslands would have been protected). They were created to protect the views that triggered emotional experiences that were valued by the Romantic perceptions of nature held by Humboldt and his followers. Travelling to remote and “exotic” places was seen as an integral aspect to experiencing nature. 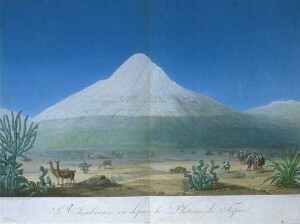 Humboldt, Marsh, and Muir sought experiences of nature in travels to South America, the Middle East, and the American West. The creation of parks brought these experiences “downmarket”, from upper-class travellers (Humboldt, Marsh) who had the financial resources and social connections to explore distant places, or extraordinary individuals (John Muir) who were willing to make social and financial sacrifices to travel, to prosperous middle class people who had resources to take time off and travel for vacation. While Humboldt himself saw the suffering caused by with plantation slavery and monoculture, valued mixed agriculture, and (rare for his time), respected native cultures, the romantic ideals as they passed down through generation tended to see nature as separate from humanity, and to dismiss the people actually living in places understood as “natural.” Crimes Against Nature makes the case that when nature is seen as “somewhere else” that is free of people – the vision of a connected system leaves out people – this perception misreads most places that are actually inhabited, creates harm to the rural people living subsistence lifestyles, and doesn’t necessarily help the natural environment. In “the Trouble With Wilderness” William Cronon also concludes that if we believe that wilderness is a remote place for urban people to visit as tourists, this belief prevents us from finding solutions to environmental problems that are inherent in our urban industrial civilization. “If we allow ourselves to believe that nature, to be true, must also be wild, then our very presence in nature represents its fall. The place where we are is the place where nature is not. If this is so—if by definition wilderness leaves no place for human beings, save perhaps as contemplative sojourners enjoying their leisurely reverie in God’s natural cathedral—then also by definition it can offer no solution to the environmental and other problems that confront us. To the extent that we celebrate wilderness as the measure with which we judge civilization, we reproduce the dualism that sets humanity and nature at opposite poles. We thereby leave ourselves little hope of discovering what an ethical, sustainable, honorable human place in nature might actually look like. Humboldt’s romantic vision helped him pioneer an environmental science in which everything in nature is connected. Jacoby and Cronon show that when rural and urban people are omitted from the vision of nature, the ecosystem including humans, are at greater risk. The trouble with Reid Hoffman’s provocative suggestion that human driving ought to be made illegal that once self-driving cars are commercially available is not that it’s a bad idea. The trouble is a technodeterminist vision of the future of electric cars, taking for granted the existing, comprehensive set of policies that currently makes driving essential for most people for most trips in the US. When automobiles became mainstream in mid-20th century America, they were seen as bringing freedom, speed and mobility. To take best advantage of the new technology, we set up rules for our streets and new places to facilitate free, fast movement of cars. Zoning rules defined peaceful, quiet neighborhoods with curvy, disconnected streets and easy drive and a long walk from the wide roads that allowed speedy car access to shopping, schools and workplaces. 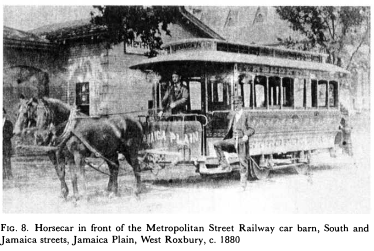 The wide roads eliminated obstacles to speedy travel, such as trees and crossing pedestrians; parking requirements ensured enough room for everyone even at crowded periods. 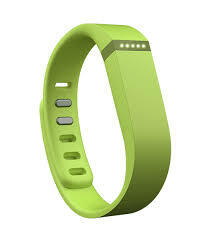 Full of optimism, we did not see that this new technology – private cars – had a few disadvantages compared to 2 million year old technology – walking on two feet – that used regularly keeps us physically and mentally healthy (now we have new wearable, networked technology to remind us to use the 2 million year old system). The new automobile technology also had some disadvantages compared to century-old transit technology, which can fit many more people at crowded travel periods. The new technology was valuable, but we overused it, and we shaped our world using a set of policies to require the new technology even where it is not the best tool for the job. Technology creates new options, but societies makes choices about the ways the technology will be used. A similar technodetermism is influencing conversations about self-driving cars. Eager proponents note that autonomous vehicles will be able to platoon and take up less space on freeways and arterials – but cars still take up more space than buses and trains, as Jarrett Walker reminds us. Instead, autonomous vehicles could provide handy first/last mile access to high-capacity transit. Proponents note that autonomous vehicles will park themselves, so they won’t require as much real estate devoted to parking. Yes, but if all the autonomous vehicles are used at the same time, they will still be underused at the same time. And when we cluster places with different functions, it becomes easier for people to use ancient technology for many trips and for socializing, freeing up even more space. Supporters foresee that driverless cars will popularize living in the furthest exurbs, since commuters will be able to relax, work, and even use an exercycle while the car drives itself. 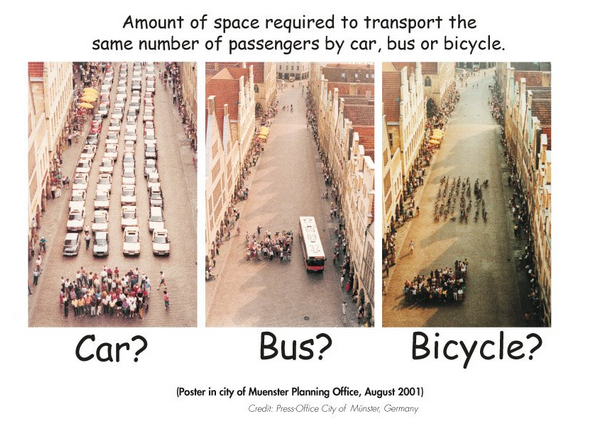 And this may be preferable for some people; it’s not clear why society should prefer and promote commuting 50 miles with a bicycle enclosed in a shell of metal, rather than 5 miles on cycle tracks under a big blue roof. The last 60 years have contributed plenty of evidence about ways that the overuse of cars has led to unintended consequences. Autonomous vehicles may well become much safer than notoriously lethal human drivers, such that it will be beneficial to ban driving. Hoffman predicts “An asphalt utopia is on the horizon. ” The proponents of horseless carriages also envisioned an asphalt utopia, and rewrote the rules to promote that utopia. While we are doing thought experiments about this potentially transformative policy change, it would be helpful to think through the interlocking set of policies that were created when cars were new, and to consider how we want to use the next generation of new technology, rather than assuming that the new technology will be used for everyone and everything, because it is new. 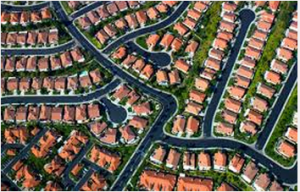 Benjamin Ross’ new book, Dead End, offers a solid, insightful, and readable analysis of the structural causes of suburban sprawl, and the reasons why it remains difficult to build in urban areas despite renewed preference for urban living. Also, the book elaborates a hypothesis that status-seeking is the primary source of suburban “not in my backyard” opposition to infill development. I wrestle with this hypothesis – there is some truth in it, but it also weaknesses as an explanation and as the basis for a theory of change. 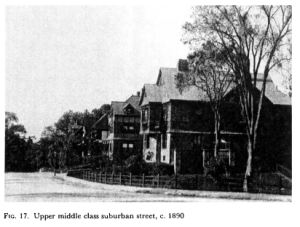 Ross traces the history of suburban land use policy – in which landowners have a high level of control over what their neighbors may choose to do – to the private covenants of socialist communes in the 19th century. The controls were institutionalized into zoning, when early suburban developments commercialized the form. The idealization of the countryside, the separation of residences from commerce, and the disdain for the city, also came from the idealistic, progressive reformers, a story that is also told in other histories of suburbia such as Crabgrass Frontier. 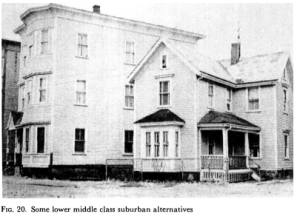 When policies were instituted to encourage home ownership during the Depression and after WW2, the mortgage criteria favored the suburban format, giving higher ratings to places that are new, that do not have a connected street grid, that have front lawns. Mortgage underwriting required cities to have zoning that segregated by density, keeping single family homes away from multi-family buildings, and that segregated by race. Dead End touches relatively briefly on the role played by race; this reading list compiled by Atlantic writer Ta-Nehisi Coates has extensive coverage of the role that racism played in housing policy. Ross does a good job of explaining how the familiar forms of residentialist neighborhood organizing got started with revolts against urban freeways and “urban renewal” projects which tore down functional working class neighborhoods, separated neighborhoods with barriers and safety hazards, and replaced lively streets with suburban style towers in parks. 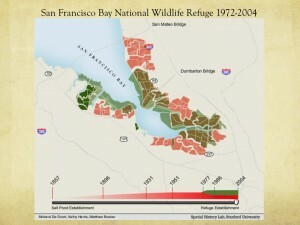 (In the San Francisco Bay Area, another crucible that forged the culture of neighborhood organizing was the environment activism which preserved San Francisco Bay and the hills from development.) In New York, the movement for historic preservation sparked by the failed battle to save Penn Station created legal tools that were later repurposed to spare ordinary old buildings and prevent change. These neighborhood organizing movements rightly viewed unchecked development and top down planning designed to prevent and ignore public input as the enemy. This perspective calcified into perpetual opposition to neighborhood change. 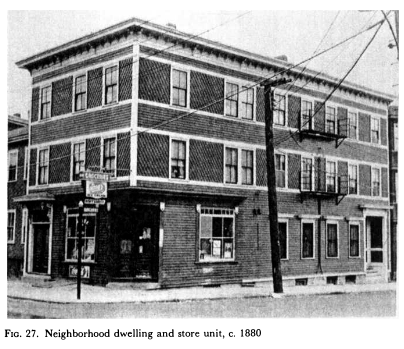 Existing residents have great power to reject or minimize new development that would reduce the prestige of the neighborhood, such as adding multi-family residences, improving sidewalks, striping bike lanes, building on parking lots, and other infringements on the ideal single-family vehicle-centric suburban design. The book provides robust documentation for its argument that early suburbs were designed to promote class exclusivity and social status, and as well as for the trends whereby classic suburban forms were mass-marketed in the form of Levittowns and the proliferation of tract housing, designed to keep out the working class and poor. 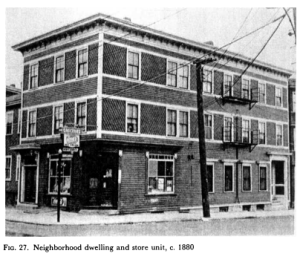 Ross elaborates on the hypothesis that the desire to protect social status explains the growth and persistence of neighborhood organizing to keep out new development. The book plainly uses the term “Nimby” to describe the politically organized homeowning neighbors who organize again and again to preserve the neighborhood form and stop proposed change. According the the book’s hypothesis, nimbies are primarily motivated by desire to maintain and increase social status, however it would be politically unacceptable to be upfront about this motivation, so nimbies use other arguments – environmentalism, historical preservation, traffic – as fig leaves to hide their naked self-interest. Not only do nimbies attempt to conceal their true motives from policymakers and fellow citizens, they can successfully conceal their self-interested motives even from themselves. There are several problems with these allegations of hypocrisy, disingenuousness, and false consciousness. While there may be some truth to the allegations, accusing an opponent of disingenuousness leaves no opening for compromise solutions. For example, neighbors have successfully fought potential development on the large parking lots at the Ashby BART station, in order to preserve the parking lot as precious “open space.” This may be driven in part a desire to keep out riffraff who would live in apartment buildings on the parking lot land. But when discussing the topic on Twitter, a friend brought up the weekend flea market held on the parking lot that community members want to preserve. Is there some other way to save the flea market? If you think of people in a public discussions as hypocrites deluded by false consciousness, you can’t make any progress addressing reasonable concerns. There is another problem with diagnosing one’s political opponents as disingenuous and self-deluded. It opens the door to psychological diagnoses from the other side. For example, millennials prefer urban areas and less driving because they are fundamentally immature. But clearly they will grow out of preferring urban living, so there is no point to addressing their interests. Urbanists may think they value cultural diversity, but are actually just foodie snobs at odds with the values of real Americans..
Another challenge with the use of status as an all-purpose explanation for the passion behind nimbyism is that the definition of status itself changes over time, and is different among different subcultures. Ross does a good job of describing a change in the concept of status after the 60s, when ideas about exclusivity conveying status were replaced in some circles with the concept of authenticity, so that it becomes important to protect the neighborhood coffee shop and keep out Starbucks, for example. So, what happens when the concept of status changes? While some suburbanites fear and disdain proposed 4-6 story midrise buildings as incipient slum towers, there are also snob urbanites with a corresponding disdain for places outside the big cities, San Franciscans who wouldn’t be caught dead in Mountain View or Redwood City. Isn’t it also true that some people who want to live in the city are also doing so for reasons of perceived status? According to a progressive/bohemian esthetic, status can mean preserving the downscale. A local flea market is seen as a sign of authentic local culture and community-building, though it is a venue for the sale of unfashionable, dingy and discarded objects. Preserving the status of the downscale, from this perspective, can mean opposing changes that would benefit the health, happiness, and safety of local residents, such as like street trees and bike lanes. Arguing that people organize to oppose change because they believe that what they have already is of higher value than the proposed new things is ultimately tautological. People value what they value. There are other explanations to nimbyism that suggest alternative theories of change. The fear of traffic is one of the most common reasons given for nimby opposition to development. Until the implementation of a California law passed last year traffic as measured by motorist delay at intersections has been considered a negative environmental impact under the California environmental quality law, so opposing increase in motor vehicle delay can be an effective strategy in fighting new buildings. Ross considers concerns about traffic to be entirely disingenuous, a transparent pretext for opposing the building of new buildings to protect the status of the neighborhood. The problem is that in car-centric suburban areas that are starting to retrofit to become more walkable and transit-friendly, the legacy policies governing street design and vehicle parking actually encourage people to drive. Unless changes are made to policies and incentives, people who are afraid of excess traffic and parking overflow are likely to be correct. The policies and incentives need to change, so that fewer people are likely to drive in the new buildings. Persuading people that it is possible to reduce driving may help reduce fear of new buildings. So an alternative to the hypothesis about status and false consciousness is a hypothesis that many people have expectations shaped by a lifetime experience and belief in the value of easy driving everywhere. Billions of dollars in advertising over decades have fostered a perception that cars mean freedom, long after the experience of driving had become a traffic-clogged annoyance. Vehement efforts to protect low density development can reflect an attempt to return to a bygone era when it was possible to easily drive everywhere with Beach Boys on the radio. 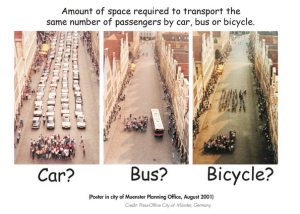 But traffic congestion is a mathematical inevitability when many people live in places with low density, separated uses, and traffic is funneled into the same few arterials and freeways. Where streets are designed for the primary purpose of moving cars quickly, it is unsafe to bike and walk, and even more people drive. If you provide plentiful enough parking for everyone to find a convenient space at every destination, then the result is vast amounts of land used for parking, making places ugly and unpleasant for walking. There is a major shift in the works, partly cultural and partly generational – toward preferring a lifestyle with less driving, which means places that are more walkable, with destinations closer together, which is to say places with more density. But many people, especially baby boomers who grew up in the old paradigm, still expect and value the ability to drive everywhere. Time is on the side of walkability. In the community where I live, many of the fiercest opponents to improvements for walking and bicycling won’t be driving in a decade and will be demanding better facilities for walking and public transit. If one considers that the concept of status is somewhat malleable, and that many studies show there is pent-up demand for walkable places, different strategies for change come to mind. In places on the Peninsula that have successfully re-urbanized downtown areas, there was extensive public involvement exploring design options, and a majority of people ultimately preferred the reinvention of downtowns into more pedestrian friendly places with more workers and residents, more amenities within walking distance, and less driving per person. 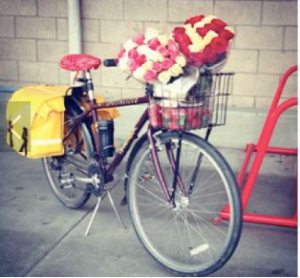 It may be possible to shift perceptions about the value of less driving. Events such as Bike to Shop day help people do more of the tasks of everyday life without a car, and appreciate changes that help people swap car trips for bike trips. When people depend on cars for fewer trips, and value easy bicycling and walking access, they may appreciate having buildings closer together, with less parking supply. Because the shift in values is in part generational, baby boomers who see their children leading carfree or carlite lifestyles have lightbulb moments when they realize that more people are starting to prefer more compact and walkable places – even if the baby boomers are still preferring to drive. It may even be possible for people who say they value diversity to take actions to protect and increase diversity, by making decisions to add housing of various types in a community. The strategy here is to build on values that people say they have, and to build a working majority of people with those values. The book’s focus on status feeds into a theory of change that rail is key to the transformation of suburban places. Ross was a leader of Maryland’s decades-long initiative to build the Purple Line, a proposed 16 mile light rail extension to the Washington metro system. In much of American culture, trains are perceived as high status, and buses as low status. This hierarchy is seen by some transit advocates as a reason to promote rail, since rail’s higher social status makes it more popular. Meanwhile, others with a more populist perspective see buses as the preferred transportation of lower income users, and therefore want to promote bus transportation instead. I think that using a status argument for either bus or rail is misguided. Rail and buses are different technologies that are have different strengths and weaknesses. For the Purple Line, which is forecast to carry 74,000 passengers when it starts operation in 2020, buses won’t provide enough capacity, which Ross correctly points out. For other routes where the transit usage is robust but not that high (such as the VTA 22/522 with ~13,000 average weekday riders) a bus rapid transit system might be a better fit. Either rail or bus can be used for backbone rapid transit service depending on capacity needs; while bus service can be used for connecting service to the backbone lines. Plus, rail systems with poor transit design and land use deliver reduced benefits regardless of the supposed prestige of rail. VTA light rail has been excruciatingly slow for its first decades of existence, was oddly located and took decades to begin to trigger transit oriented development. BART was extended to suburbs, with stations surrounded by vast parking lots. After four decades, the BART station in Union City has recently added is a set of big apartment buildings, a half-mile walk from an inhospitable arterial intersection hosting acres of parking lot-surrounded strip malls. Development near transit, yes, but not nearly a walkable, human-friendly place. Ross also argues that rail transit will naturally lead to the adoption of complete streets. The natural experiment of BART in the suburban east bay belies the argument that rail transit inevitably creates walkable, bikeable places. BART stations were surrounded by huge parking lots, in the midst of a suburban land use pattern with separated residential and commercial development connected by deadly multi-lane arterial roads. Even now, some East Bay jurisdictions resist street safety improvements that might slow vehicles. Tactically, the Purple Line advocates were right to advocate rail for the Maryland corridor. Given the local culture and continued effective advocacy, it may well be the case that the Purple Line station areas will be well integrated with nicely walkable transit oriented development with streets that are safe and convenient for walking and bicycling. But that individual case is not necessarily universal. As with East Bay BART and VTA light rail, steel wheels don’t automatically translate into livable communities with safe pleasant streets. Ross offers various policy proposals to make it easier to create more urban places, including removing parking requirements, and providing more funding for affordable housing. He proposes strong versions of both of these proposals, wanting to see parking gone altogether, which requires superb transit in order to work. He wants to see greatly increased federal funding for transit, this would require major transformation in national politics, where the R-dominated House votes consistently against transit spending. Given the fact that the greatest demands for affordable housing and transit are in economically booming metros, I suspect that a greater proportion of the investment is going to need to be driven locally. Ross proposes greater regionalization of land use policy, to counteract the control exerted by homeowners in small suburban jurisdictions. While Maryland does have county-based land use regulation, Ross also reports that this regional structure also promotes slow-moving bureaucracy and sometimes corruption. Even moderately integrated transportation and land use policy in the Bay Area has sparked fierce opposition – time will tell whether the current level of coordination will work over time, and whether the state will provide the missing transit and housing funding to make the goals work, or whether opposition will undermine the plan’s implementation. I recommend the book for people who are interested in the history and politics of cities and suburbs. Even if you have read other books on the origins of suburbia, you will likely learn from this one. The analysis of the politics of suburban neighborhood opposition to change is provocative, and serves as an interesting starting point to analyze and debate cause for the current state of affairs and theories of change. In Wild Ones, Jon Mooallem is rather angst-ridden about the ambiguities and paradoxes of restoring wild nature. In Rambunctious Garden, Emma Marris, writer for Nature, celebrates the paradoxes. The story of the search for the original creek form is one of numerous examples debunking the ideal of a single “baseline” ecosystem that can be restored. In Hawa’ii, should the baseline be set before Europeans arrive? Before Polynesians arrive? In North and South America, Marris cites evidence that native populations had surpassed a hundred million, but the vast majority died of European diseases in the first century after first contact. Landscapes that Europeans interpreted as empty and wild had actually been full of people and shaped by human activity. With climate change, the familiar baselines are changing; species’ preferred temperature range is moving north and/or uphill. After demolishing the ideal of a “baseline” state of nature, Marris reports on science calling into question the importance of the integrity of the “native” ecosystem. Conventional thinking holds that an ecosystem attacked by invasive species will be less varied and less healthy than a system which maintains all of its original components. But evidence shows that in many cases newcomers can fit right in, helpfully occupying a niche that has for some reason been left vacant, or complementing the existing ecosystem without displacement. Even where introduced species are initially destructive, the virulence sometimes decreases, as predators, defenses and infections adapt to the newcomer. If there is no clear original “state of nature” to restore, and additional species often fit in and don’t cause harm, this opens the door to many more flexible choices of how to protect and enhance the environment. To cope with climate change, why not help plants and animals migrate? (this was the topic that has Mooallem and the polar bear protectors tied into knots; Marris’ perspective would say move the animals). To restore a wetland, rather than trying to repopulate the original set of species and physical forms, one would identify the functions to be served – cleaning water, blunting floods, hosting fish and birds – and make choices to achieve the goals. Another area for flexibility is in the landscapes to be considered “natural.” Marris recounts how Americans invented of the ideal of wilderness, citing Nash and Cronon analyzing Thoreau, Emerson, Muir (she outs the Walden Pond refuge as suburban, but omits the snarky detail that Thoreau’s mom came over regularly to do his laundry). She contrasts the canonical form of Yellowstone and Yosemite, which are intended to preserve pristine wilderness, with park conservation traditions in Europe. An ancient Polish forest has plenty of acknowledged management; there is a long British tradition of protecting wild species in agricultural landscapes. The book cites a long and ugly history of exiling human inhabitants to create “wilderness” , from John Muir’s exiling Miwok natives from Yosemite, to the removal of native peoples to create wildlife refuges in Africa and South America. Without a bright line between “natural” human-free landscapes and “artificial” human-cultivated ones, it is easier to see opportunities to improve natural habitat and ecosystem functioning in urban, agricultural, and industrial landscapes, not only in places that are set aside to be free of people. And hopefully it is easier to take responsibility for the environmental health of populated places, rather than ducking the responsibility because “nature” is being taken care of somewhere else. If you are “deep green” – if the ideal of untouched wilderness is core to your sense of spirituality and self – and you support environmental organizations so they can protect nature far from cities and suburbs – you will probably not like this book. If you are interested in the changing science of “restoration ecology” and what it may mean for coping with climate change and protecting biodiversity, you will find this book informative and thought-provoking. A throwaway side point in a thought-provoking article in the New Yorker by George Packer says that Twitter’s “San Francisco headquarters employs a thousand people but draws tourists from around the world—the company turns them away—” The article’s main points are about the contrasts between Silicon Valley’s wealthy utopianism and the growing gap between rich and poor, in the Bay Area and around the country. Worth reflection and soul-searching. In the meanwhile, Twitter’s tourist problem is solvable. Create a piece of public art with Twitter Trending on various different topics with different colors. Needs display technology that can withstand outdoor display. And, given gap between wealthy and destitute at mid-market, regular physical maintenance.